As we were planning the overnight stop on our 900-mile return trip home to Maryland after a week at Disney World, I had one criteria in mind: beer. No, I wasn’t so concerned with exactly where I lay my head – the hotels at one I-95 exit are going to be the same as the hotels at the next. I was looking for an I-95 exit that was about half-way home and that had a brewpub, or at least a restaurant with a great selection of local beers. 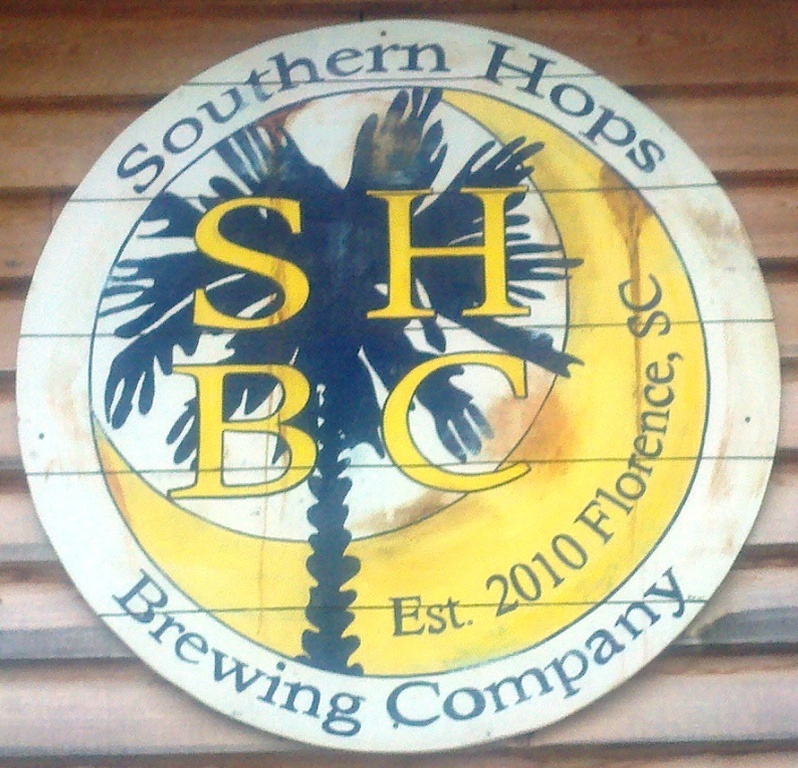 I found all that and more in Florence, South Carolina at Southern Hops Brewing Company. Florence was about 465 miles from Disney, or just over half-way to Maryland. After about eight hours on the road, we pulled off I-95 and drove 3 miles off the interstate to Southern Hops. As we pulled up, I was glad to see the large parking lot with ample room for the van and pop-up. 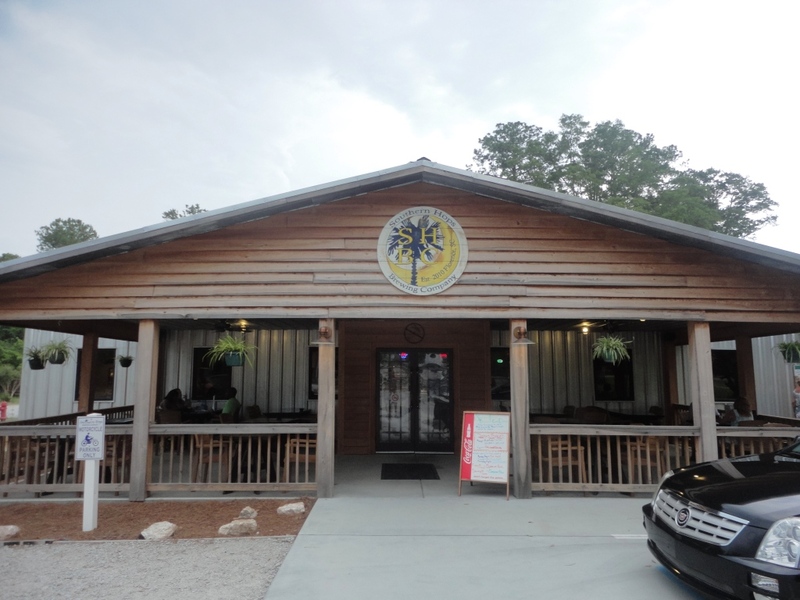 On its website, Southern Hops promises “handcrafted beer accompanied by great food and live music, as well as a level of service that defines Southern Hospitality.” This brewpub delivered on every front. 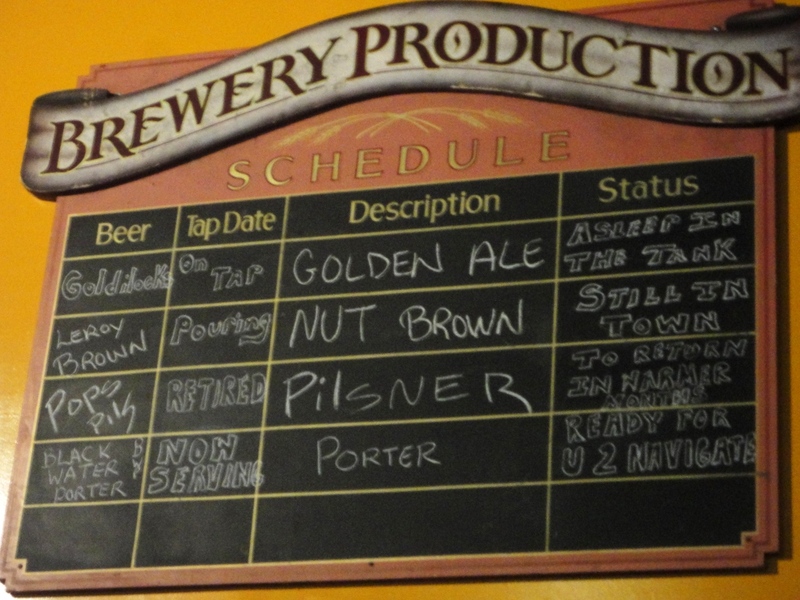 The brews were solid and drinkable. The Pops Pils was kicked, but no worries — in addition to the house brews, there were 16 guest taps with local South Carolina brew. After sampling the house brews, I ordered a pint of HopArt IPA from COAST Brewing Company in Charleston, a deliciously hoppy IPA and strong at 7.7% ABV. Beth tried the White Ale from New South Brewery in Myrtle Beach and Son of a Peach from RJ Rockers Brewing Company in Spartansburg. Other guest taps featured Terrapin Rye Pale Ale, Green Flash West Coast IPA, Bells Oberon Ale, Victory Prima Pils, and Weyerbacher Simcoe Double IPA. So yes, this was both a brewpub and a serious beer bar. And the food! After an order of Hoppin Nachos to take the edge off after our long drive, Beth and I both ordered the Pulled Pork, served Carolina style on a kaiser roll with vinegar slaw and “Back Yard BBQ sauce.” Having gone to college in North Carolina, I know Carolina barbecue (Bill’s is my personal fav), and Southern Hops’ Carolina-style barbecue was damn good. After a long day on the road, we really appreciated the Southern hospitality, and there was live music to boot! Southern Hops “strives to showcase the best regional and local music in a spacious, smoke free environment” with live music on Friday evening and occasional Saturdays. We walked in on a Saturday evening to live acoustic guitar that was a relaxing soundtrack to our family dinner. I have family in Florida, so I can safely say that there will be more road trips between Maryland and Florida in the future — and more overnight stops in Florence, South Carolina to be sure. I wasn’t going to drink tonight, but now I need a beer. BBQ and a “solid drinkable” beer? Doesn’t get much better.